We preserved the original Spanish architecture when upgrading and renovating historical Piccadilly Flats. The results are beautiful hardwood floors, granite countertops, crown molding, stainless-steel appliances and custom paint complementing the timeless heritage of these one-bedrooms. Right in the heart of beautiful SoHo Hyde Park Tampa, on a quiet residential street with mature trees and landscaping just one block from the Bay! 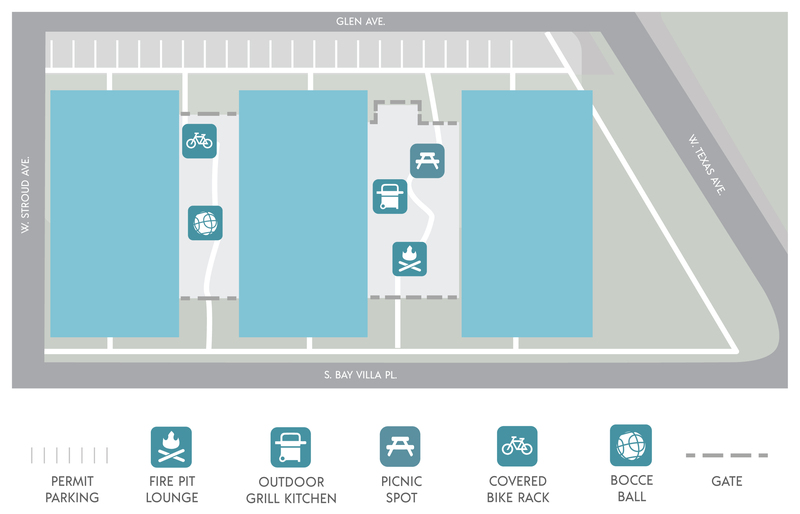 You’ll find; an outdoor grill kitchen, fire pit lounge, bocce ball court, permit parking, bike parking and a fantastic location close to all of the restaurants and nightlife on South Howard, Hyde Park Village and downtown Tampa right here. Piccadilly Flats is located within walking distance to Bayshore Boulevard, you can run, bike, skateboard or walk your dog on the 10-foot-wide, 4.5-mile-long bay front sidewalk, claimed to be the longest continuous sidewalk in the world. The 3-mile bike lane, a linear park, and the Bayshore Greenway Trail provide scenic views of urban Tampa and the water.